For two more weekends The Antrim Playhouse on Spook Rock Rd. is featuring “Sylvia,” a shaggy dog romantic comedy that starred Annaleigh Ashford & Matthew Broderick last year on Broadway, and Sarah Jessica Parker as the original Sylvia in 1995. It is the story of what happens when Greg adopts an abandoned dog with a smart, funny and sassy personality. The dog, Sylvia, changes Greg and his wife Kate’s life forever. The empty-nesters had just moved back to Manhattan after 22 years in the suburbs. Kate tells Greg: “The dog phase of my life is definitely over.” But life has a way of giving you what you think you don’t want. As you watch the story unfold you won’t have to wonder what Syvlia is feeling-you will hear and see it firsthand! The play is a look into the complexities of love and commitment. It asks what it truly means to be devoted to your partner and how do you choose between the love of your life and man’s best friend? 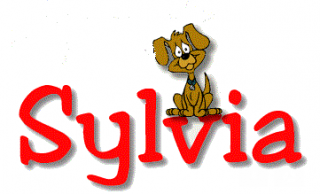 “Sylvia” has been embraced by dog lovers everywhere, as well as others who relate to its timely message of the need to connect and to love. Performances this weekend take place Friday, March 24 and Saturday, March 25 at 8 p.m.and Sunday, March 26 at 2 p.m. Next weekend performances take place Friday, March 31 and Saturday, April 1 at 8 p.m. and Sunday, April 2 at 2 p.m. Performed by The Antrim Players at The Antrim Playhouse, 15 Spook Rock Rd., Suffern. For tickets/information visit www.antrimplayhouse.com or call 845-354-9503. Ticket prices for all shows: $25 adults, $23 seniors (62 & over), $15 students (age 13-22), $15 veterans and active service members, $10 children 12 and under.